The Basque people have inhabited the foothills of the Pyrenees Mountains around the Bay of Biscay in northern Spain and southern France for thousands of years. They are the oldest surviving ethnic group in Europe. It is interesting, however, that scholars have still not determined the exact origins of the Basques. The Basques may be the direct descendants of the Cro-Magnon hunter-gatherers that first lived in Europe about 35,000 years ago. The Basques have prospered, though their distinctive language and culture were sometimes suppressed, giving rise to a modern violent separatist movement. Much Basque history is still largely unverified. Due to similarities in place names and personal names, the Basques may be related to a people called the Vascones that lived in Northern Spain. The Basques get their name from this tribe. The Basque people had probably already lived in the Pyrenees for thousands of years when the Romans invaded the Iberian peninsula in approximately the first century BCE. The Romans had little interest in conquering the Basque territory due to the mountainous, somewhat non-fertile landscape. Partly due to the protection of the Pyrenees, the Basques were never defeated by the invading Moors, Visigoths, Normans, or Franks. However, Castilian (Spanish) forces conquered the Basque territory in the 1500s, but the Basques were given a great amount of autonomy. Spain and France began to pressure the Basques to assimilate, and the Basques lost some of their rights during the Carlist Wars of the 19th century. Basque nationalism became particularly intense during this period. Basque culture greatly suffered during the Spanish Civil War in the 1930s. Francisco Franco and his fascist party wanted to rid Spain of all heterogeneity. The Basque people were targeted harshly. Franco banned the speaking of Basque. The Basques lost all political autonomy and economic rights. Many Basques were imprisoned or killed. Franco ordered a Basque town, Guernica, to be bombed by the Germans in 1937. Several hundred civilians died. Picasso painted his famous “Guernica” to demonstrate the horror of war. When Franco died in 1975, the Basques received much of their autonomy again, but this did not satisfy all Basques. In 1959, some of the fiercest nationalists founded ETA, or Euskadi Ta Askatasuna, Basque Homeland and Liberty. This separatist, socialist organization has conducted terrorist activities to try to break away from Spain and France and become an independent nation-state. Over 800 people, including police officers, government leaders, and innocent civilians have been killed by assassinations and bombings. Thousands more have been injured, kidnapped, or robbed. But Spain and France have not tolerated this violence, and many Basque terrorists have been imprisoned. ETA leaders have claimed numerous times that they want to declare a cease-fire and solve the sovereignty issue peacefully, but they have broken the cease-fire repeatedly. The majority of Basque people do not condone the violent actions of ETA, and not all Basques want complete sovereignty. The Pyrenees Mountains are the major geographic feature of the Basque Country (map). The Basque Autonomous Community in Spain is divided into three provinces – Araba, Bizkaia, and Gipuzkoa. The capital and home of the Basque Parliament is Vitoria-Gasteiz. Other large cities include Bilbao and San Sebastian. In France, the Basques live near Biarritz. The Basque Country is heavily industrialized. Energy production is important. Politically, the Basques in Spain have a great deal of autonomy. They control their own police force, industry, agriculture, taxation, and media. However, Basque Country is not yet independent. The Basque language is not Indo-European. It is a language isolate. Linguists have tried to connect Basque with languages spoken in North Africa and the Caucasus Mountains, but no direct links have been proven. Basque is written with the Latin alphabet. The Basques call their language Euskara. It is spoken by about 650,000 people in Spain and about 130,000 people in France. Most Basque speakers are bilingual in either Spanish or French. Basque experienced a resurgence after the death of Franco, and it is now crucial to know Basque to get government jobs in that region. Basque is finally seen as a suitable language of instruction in educational facilities. The Basque people are known for their interesting culture and occupations. The Basques built many ships and were excellent seafarers. After explorer Ferdinand Magellan was killed in 1521, a Basque man, Juan Sebastian Elcano, completed the first circumnavigation of the world. St. Ignatius of Loyola, the founder of the Jesuit order of Catholic priests, was Basque. Miguel Indurain has won the Tour de France multiple times. Basques play many sports like soccer, rugby, and jai alai. Most Basques today are Roman Catholic. The Basques cook famous seafood dishes and celebrate many festivals. The Basques may have unique genetics. They have the highest concentrations of people with Type O blood and Rhesus Negative blood, which can cause problems with pregnancy. There are approximately 18 million people of Basque descent around the world. Many people in New Brunswick and Newfoundland, Canada, are descended from Basque fishermen and whalers. Many prominent Basque clergyman and government officials were sent to the New World. Today, about 8 million people in Argentina, Chile, and Mexico trace their roots to the Basques, who emigrated to work as sheepherders, farmers, and miners. 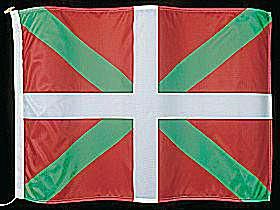 There are about 60,000 people of Basque ancestry in the United States. 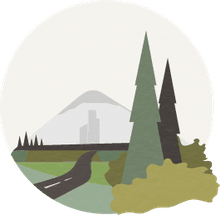 Many reside in Boise, Idaho, and in other places in the American West. The University of Nevada at Reno has a Basque Studies Department. In conclusion, the mysterious Basque people have survived for thousands of years in the isolated Pyrenees Mountains, preserving their ethnic and linguistic integrity. Perhaps one day scholars will determine their origins, but this geographic puzzle remains unsolved.